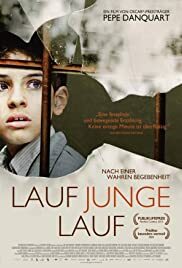 Lauf Junge lauf (2013) is a German/Polish film shown in the US with the title "Run Boy Run." It was directed by Pepe Danquart. The movie tells the harrowing story of Srulik, a Jewish boy who escapes the Warsaw ghetto and survives--by using his wits and his courage--in rural Poland. Kamil Tkacz brilliantly plays Srulik. (Srulik changes his name to Jurek Staniak in order to pass as a Gentile.) 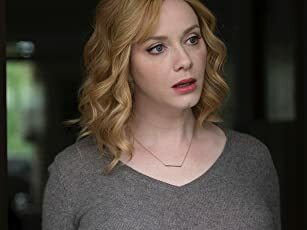 There really was a Srulik, so this film is partially a documentary. It's not an easy film to watch, because Srulik's life is horribly difficult, and every respite is followed by yet another near-death experience. The Poles Srulik meets range from evil (turning him over to the Germans for a reward) to neutral, to wonderful. In fact, the actions of the Polish people Surlik encounters make up the bulk of the story. However, ever present, even off-screen, is the huge evil of the Holocaust. It's hard to believe that the occupying Germans would spend so much time and energy trying to catch one young Jewish boy, but that was the reality. Srulik was never safe. He was safer or less safe, but never truly safe. I think this extraordinary film is worth seeking out and watching. It will work well on DVD, but we were fortunate enough to see it at the excellent Dryden Theatre, as part of the superb Rochester Jewish Film Festival. P.S. As I write this review, Run Boy Run carries a dismal 6.5 IMDb rating. I think that's because the film has so many bad moments, and so few truly happy ones. Still, it's an excellent movie, and, in my opinion, deserves a much higher rating.